2016 is turning out to be a very good year for tourism in Mexico and it doesn’t appear to be slowing down anytime soon. According to the Tourism Board there has been a growth of almost 10 percent in the first three months, with the rate of increase greater than anywhere else on the world. 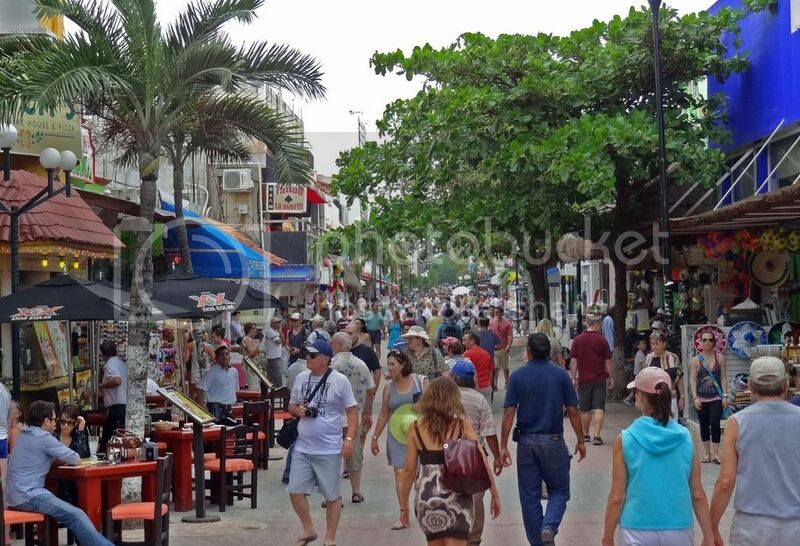 Last month The Riviera Maya News reported that Canadian tourism to Mexico has also seen a major spike already in 2016, primarily in Cancun and across the Riviera Maya, with an increase of over 20 percent. In 2006, there were 9,728,149 national and international visitors who passed through Cancun International Airport, rising up to 19,596,485 in 2015. By the time 2016 has ended the numbers will likely be much higher. This spike in tourism is great news for owners of property here Mexico, with vacation rentals on the rise. Here in the Riviera Maya, the highest occupancy rates were in Playa del Carmen’s, inside of the private residential development of Playacar. If you own a house or condo here or in the downtown area your chances of keeping it rented out on a regular basis is very good. Not all visitors are interested in staying in hotels or resorts, and there are countless number of small groups who prefer to save money by sharing a home which will keep them close to where the action is, along with the added benefit of doing ones shopping for food. Another factor affecting the boom in travel has been the drop in value of the Mexican peso. The US dollar keeps getting stronger and offering more buying power here, something which has being going on since 2015. While plane tickets may not be necessarily cheaper, once you get to Mexico everything is noticeably cheaper. Food, drinks, entertainment, tours and even shopping- once you have traded in your dollars at one of the local exchange houses you’ll see how much more you receive now than in the past. Mexico is one of the world’s top 10 most-visited countries for tourism, and has even moved up to fifth place among Latin American nations chosen by American investors. Hotel occupancy rates in Mexico this quarter for 2016 are at the highest ever recorded, and with new resorts, hotels, developments and condos being constructed here from the Pacific to the Caribbean it is unlikely that the numbers of tourists coming here will drop anytime soon. If you’d like more information about living in the Riviera Maya or are interested in purchasing property here, we invite you to visit our main website where you can search further. Please get in touch with one of our agents who will gladly assist you in any questions you might have.